i'm always excited for a girls' night out. so when an impromptu dinner came up, i was extra excited when we decided on true food kitchen. true food kitchen's about section made me literally lol. take a look : "a health-driven, seasonal restaurant merging nutrient-rich ingredients with a flavor-forward menu that rotates regularly to let guests experience great-tasting ingredients at the peak of their freshness." right? what a delicious mouthful of words. pink grapefruit, cilantro, roasted poblano, sunflower seeds & pita chips. guacamole is pretty much always a good idea. no exception here. the pita chips threw me at first, but were actually quite tasty. sugar snap peas, smoked onion, roasted garlic & vegan almond ricotta w/ black truffle. 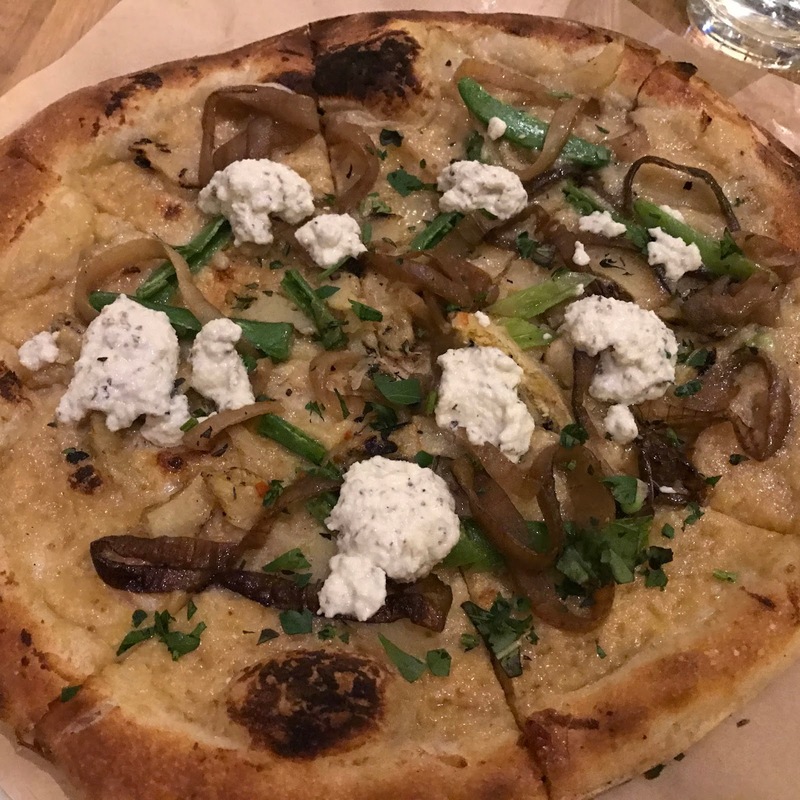 as far as vegan pizza at a non-pizza joint goes, this was incredible. like really, really good. it's fun to imagine these delicious toppings on a real pizza place pizza crust. this had more of a flatbread feel, but it worked. i was also worried about the black truffle flavor, since we know any form of fungus is not my ish, but there was no need. i think i ate the whole thing. okay, so on top of some legit eats ... true food kitchen is perfect for vegans. they even have a little green v on every menu item that is good to go for us veggies. mmm ... now that i'm thinking about this pizza again, i kind of want it. like yesterday. who's down?